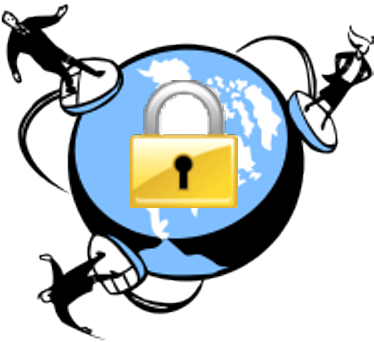 Virtual Private Networking (VPN) is a secure (encrypted) way of connecting to private resources (business LAN, home computer) over the public Internet. To make a VPN connection, VPN client software typically connects to VPN server software. VPN types include Point To Point Tunneling Protocol (PPTP, deprecated but still useful) and OpenVPN (recommended, secure). But you may have a problem making VPN connections over T-Mobile USA wireless data. The Symptoms: You are able to do things on your mobile device over T-Mobile data (browse the Internet, send and receive email, etc), and you are able to make VPN connections over Wi-Fi wireless, but you are not able to make VPN connections over T-Mobile wireless data. The Cause: T-Mobile apparently pushed out a data configuration in late 2013 that set APN Protocol to IPv6. That works properly for most things on mobile devices, but it prevents PPTP (built into Android) and OpenVPN (OpenVPN Connect) clients from making VPN connections. 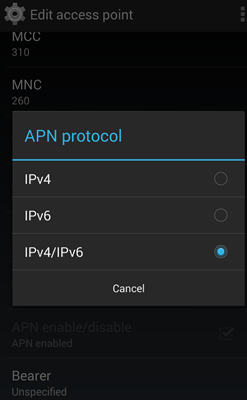 The Cure: Open Settings > Wireless & Networks > More... > Mobile networks > Access Point Names > T-Mobile GPRS (fast.t-mobile.com) > APN protocol, and change the selection from IPv6 to IPv4/IPv6 IPv4 (see update below). The Caveat: This cure was tested successfully with a Nexus 5 running Android 4.4.2 KitKat on a Prepaid plan, and it might not work properly on other devices or plans. Use at your own risk. Update: IPv4/IPv6 currently causes issues with some websites (example), so try IPv4. "Cloud" (just a new name for "online") is all the rage, and "cloud backup" can be a computer backup option with advantages, despite Internet speed limitations, including protected remote storage, no need for local backup hardware, and access/syncing with multiple devices. Many paid cloud backup services are readily available (Carbonite, CrashPlan, etc. ), but good free options are also available, including Google Drive (currently 15 GB for Drive, Gmail, and photos) and Microsoft SkyDrive (currently 7 GB, integrated as of Windows 8). The immediate obstacle to using Google Drive or SkyDrive for backup is that both services sync only a single folder to the cloud, and it would normally be a hassle to keep all important stuff in the single sync folder, but fortunately there's an easier way to set up backup syncing in Windows: NTSF Junctions. An NTSF Junction is a symbolic link to a folder, which has several advantages over a Windows Shell Shortcut (.lnk), including content sync by Windows SkyDrive software. (Shell Shortcuts will be synced, but not the content they point to.) 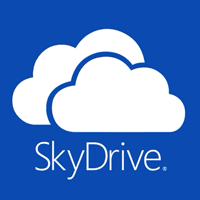 So if, for example, you create a Junction to My Documents in your SkyDrive folder, then Windows SkyDrive will sync My Documents content to the SkyDrive cloud. If you keep your important items in My Documents, this will give you excellent online protection. You can add other folders to sync the same way with their own NTSF Junctions, even Desktop. To create NTSF Junctions, Windows has only the command line tool mklink, which is painful to use. An easier and better tool is (free) Link Shell Extension. So what about Google Drive? Unfortunately, as of this writing Drive doesn't support Junctions for content sync, so the only way to sync a folder like My Documents is to move it to the Google Drive folder. That's quite easy to do as described here and here, and works quite well in most cases. With increased online HD quality video streaming from the likes of Amazon, Netflix, Hulu, and YouTube, and with cable TV bills climbing ever higher, it's becoming more attractive and practical to cut the cable, especially if you can get free digital TV signals (HD quality) over the air. 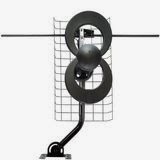 You have the legal right to install your own antenna for over the air reception, and you can check to see what channels you may be able to receive at TV Fool. Some of the best antenna options for relatively short range reception, as tested in San Francisco (TV Fool report). Easy to assemble. High quality construction. Solidly pulled in all green and yellow stations reported by TVFool, both VHF Hi and UHF. 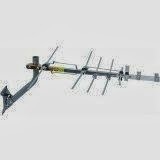 If you need or want the best in this range class, this is the antenna to buy. If you need longer range reception, Antennas Direct also has more powerful options, as well as a good indoor option, Micron R, which may be available at a bargain price refurbished. Relatively easy to assemble, except a bolt was missing, purchased replacement from local hardware store. Also purchased cable zip ties to secure coax to mast and boom. One element was loose enough to wobble freely due to poor riveting, had to insert shims to stabilize. Pulled in all green stations reported by TVFool, both VHF Hi and UHF, but not solid on yellow. ClearStream 2V definitely more sensitive than ANT751, in addition to better construction quality, clear on yellow UHF channels that break up on ANT751, also picked up a very weak (unwatchable) VHF station not found by ANT751. However, ANT751 may be sufficiently good for many purposes (if yellow stations are not of interest), and is much less expensive ($50 vs $100).